Are you looking for a treadmill that’s great for running, but priced below $1,000? 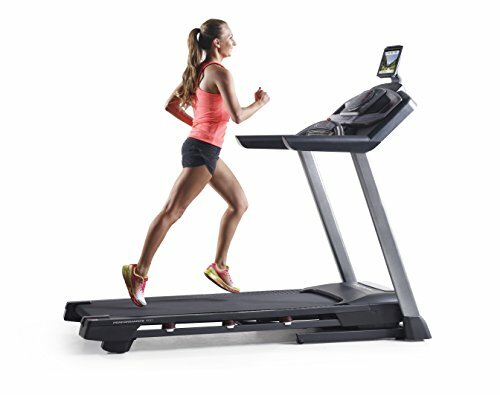 The combination of the more affordable price and higher running speeds make it incredibly tough to find the best treadmills for running under 1,000. Via thorough research, I found the Nautilus T614 manages to tick all the boxes. I highly recommend it as being one of the best treadmills for running under 1,000. The ProForm Performance 600i is a close second, but with a few more flaws. 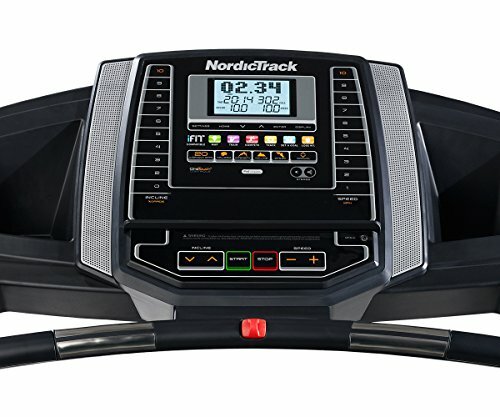 For those on an even tighter budget of under $600, you’ll be more interested in the NordicTrack T 6.5 S.
Have a read below to learn the ins and outs of these treadmills to discover which one is best for you. 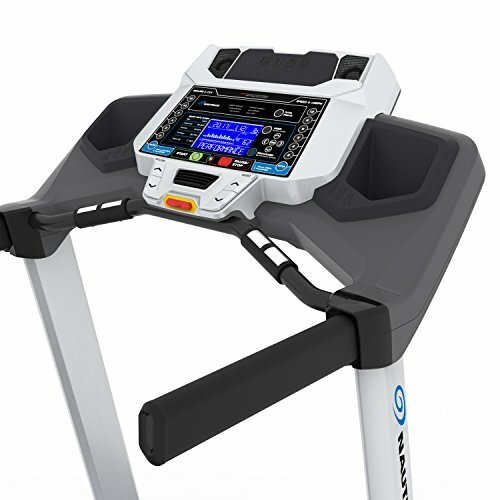 The T614 is actually one of the entry-level treadmills by Nautilus. It provides you with great speeds with a powerful motor, as well as other features that will always keep your workouts challenging. The motor that Nautilus has used to power this treadmill is 2.75 CHP. As a result, it provides you with an incredibly responsive and high-performance experience. You’re able to run at a top speed of 12 mph, which is more than enough for most runners. Moreover, I liked how this treadmill includes a StrikeZone cushioning feature. This system works to decrease the negative impact that your joints are often exposed to when running on harder ground. Studies suggest that running can be good for your knee health. But keeping them protected from pounding hard surfaces also helps them to remain healthy too. It shows that they aren’t all about giving you a treadmill for speed. They also care about ensuring your longevity and ability to continue running for longer. The size of the running path is 20” x 55”. This is an awesome size that allows you to run without feeling restricted. When I’m searching for treadmills, one of the main features that’s a must-have for me is the incline. 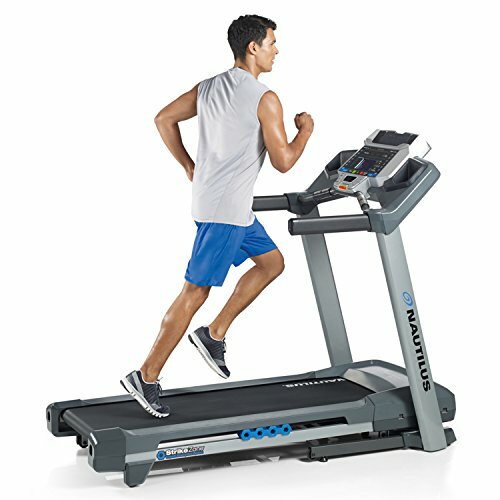 The Nautilus T614 treadmill lets you workout on a maximum incline of 12%. From personal experience, trying to run up an incline of that steepness is incredibly challenging. Therefore, runners may be interested to utilize this incline feature as a way of improving their uphill abilities. You can choose between a total of 22 workout programs that are pre-programmed into this treadmill. Whether you’re looking to lose weight, get fitter, or improve your running speed, you can be sure to find the right program for your goals. There’s also a manual option available to set your own workouts too. The LCD display is 5.5” and back-lit with a blue tint. This provides you with a clear way to track your progress. They’ve also implemented speakers that can be used by simply plugging in an MP3 device. Furthermore, you can even charge devices via a built-in USB port, as well as benefit from a fan that blow air at you while you workout. Do you need a treadmill that’s easy to store away? 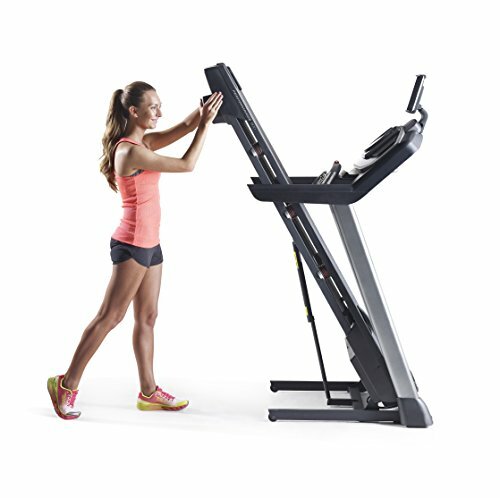 If so, you’ll love the SoftDrop folding mechanism that comes with this Nautilus treadmill. It lets you easily fold it up and move it to a more suitable place for storage after you’re done working out. There is one flaw that various customers have been complaining about while using this treadmill. When you’re running on the treadmill and altering the speed, the treadmill will change your speed as usual. However, this treadmill seems to be prone to a delay of your speed on the screen. For example, if you change the speed from 6 to 8 mph, the treadmill will increase the speed. But, it may not show you the altered speed on the display right away. 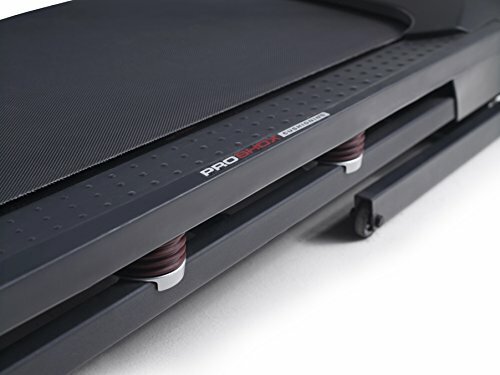 Proform has built a powerful treadmill that runners will appreciate the most. There were just a few more downsides that placed the 600i below the Nautilus T614 Treadmill. 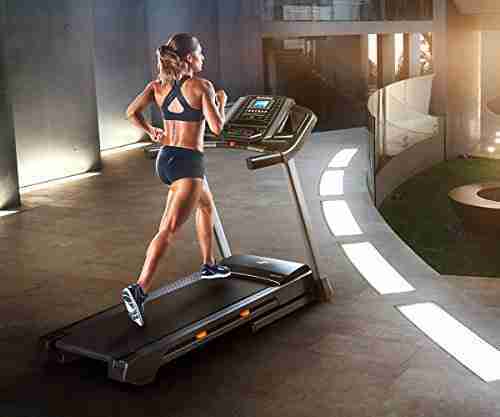 However, it’s still among the best treadmills for running under 1,000 for many reasons. 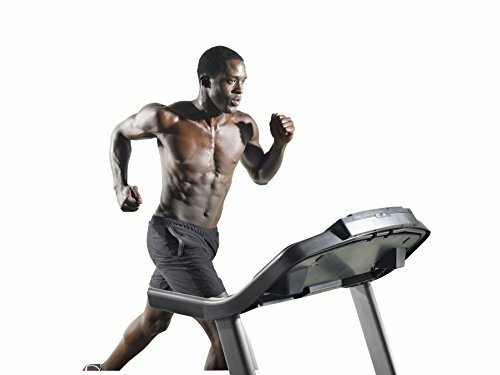 This ProForm treadmill provides you with a maximum speed of 12mph. the 2.75 CHP motor is what powers the treadmill with such responsiveness and reliability. 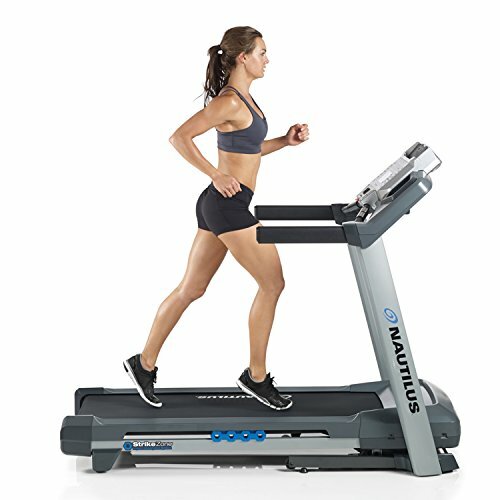 Similarly, to the Nautilus T614 treadmill, this ProForm model provides you with more than just speed. It also ensures that you can run fast while also protecting your joints. There’s a ProShox features that works to provide extra cushioning beneath the deck. Typically, this is something that you only find among ProForm treadmills of a higher price. In addition to the cushioned system, the deck is also a fantastic size. It’s 60” x 20”, which provides runners with a lot of room to take large strides and not feel limited. If you feel like switching up your workouts from running on a flat surface, you always have the option to use the incline settings. In addition to the awesome incline features, you’re also able to choose between 22 different workout programs. Every one of the built-in programs have been designed by certified personal trainers. I liked how you can simply select the one that fits your goals best, and the treadmill does the rest. It sets the speed, incline, and duration for you. 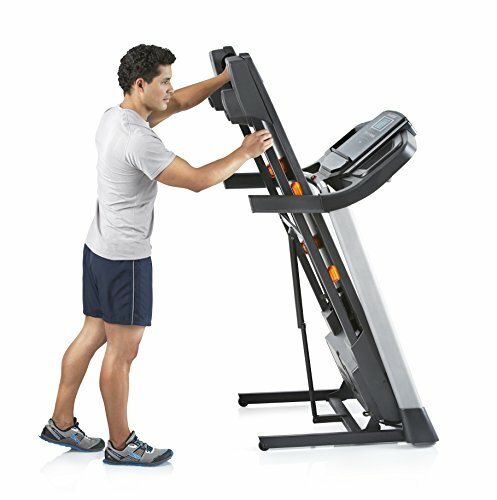 Another one of the features that’s similar to the Nautilus treadmill is that this one can be folded too. So, when you’re done running, the treadmill doesn’t have to stay in the room and take up space. Instead, you can simply fold it and move it to a place where it can be stored. While you are able to fold this treadmill up, the overall size of it may be too bulky for some. It’s 59.25 x 36.63” x 79.62” in size. So, if you’re in a smaller space, this treadmill will take up a hefty chunk. If you’re looking to save space, take a look at our Best Portable Treadmills review. So, the deck is big enough to run without restrictions and protects your joints with the ProShox cushioning. However, there is one glaring issue that runners will notice. The track material is pretty thin. While most casual users who run and jog will be able to easily overlook, (and maybe not even notice) this downside, runners will be wary of it the most. Running on a treadmill is going to cause more wear and tear within a shorter period time. Therefore, you may not feel confident in how durable the deck material of the ProForm Performance 600i is. I will say that most customers have been happy with the durability. But serious runners may cause the durability to diminish quicker with this one. The NordicTrack T 6.5 S treadmill is a great option for runners who are on a tighter budget. It’s more affordable than the two treadmills above, which means that you don’t get quite as many benefits. This treadmill provides a max speed of 10 mph. So, it’s 2 mph slower than the Nautilus T614 and ProForm 600i. Although, for a few hundred dollars cheaper, this will be a small compromise that people on a budget will be happy to make. The speed is still impressive enough to provide runners with a challenge. You can set the incline to 10% with this treadmill. This is slightly lower than the other two treadmills above. But, again, you’re saving money, so not having that extra 2% of incline available may not be a major issue for you. 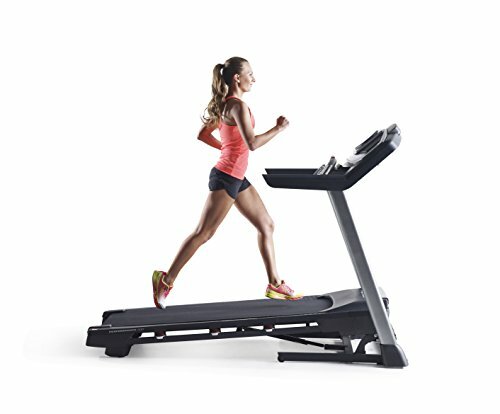 Just like the Nautilus T614 and ProForm Performance 600i, this NordicTrack treadmill comes with a cushioning system. It’s called FlexSelect and it works to prevent any harsh impact on your joints. I also liked how the deck is a great size for runners at 20” x 55”. Therefore, you have plenty of room and no feelings of being limited. Considering how affordable this treadmill is, I wasn’t expecting there to be as many programs and music features. Nonetheless, there are 20 workout programs available that have been created by certified personal trainers. Once you select one, the treadmill will automatically set the time, speed, and incline (if necessary). You’re able to easily connect MP3 devices with this treadmill to help keep yourself motivated while you workout. There’s an awesome sound system built-in to the treadmill, which means you can avoid dealing with earphone wires dangling around. It also saves you an added cost of purchasing wireless headphones for your workouts. 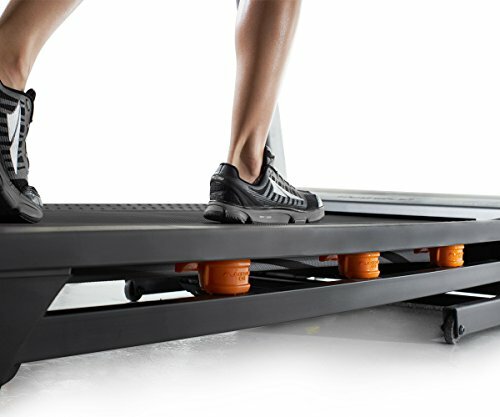 This NordicTrack T 6.5 S treadmill comes equipped with a space saving design. Once your workout is done, you can fold it up and take it to a better place for storage. However, I was surprised to find that it comes with EasyLift Assist tech. As a result, folding the treadmill is effortless. It’s actually the easiest to fold out of all three treadmills in this review. Unfortunately, one of the bigger downsides surrounding this treadmill is the noise factor. While the motor is on, it can create a lot of noise. After using noisy treadmills, myself in the past, I cannot stand them. Not only do they disturb me, they can also be a nuisance for anyone around you too. You don’t have any space to put phones, keys, or water bottles. Personally, I don’t need a whole bunch of storage space for working out at home. But it may be a bigger turn off for you. For runners on a smaller budget, the NordicTrack T 6.5 S would be the best option. 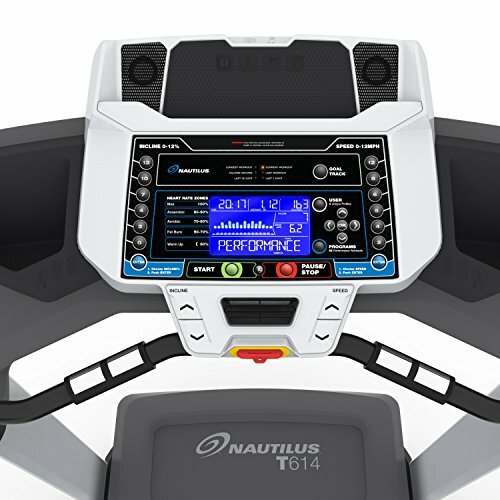 The ProForm treadmill is similar to the Nautilus T614, however, I had reservations surrounding the durability of the deck material. Therefore, I would recommend the Nautilus T614 for most runners. Be sure to consider all the features, pros, and cons of each item to help you decide which is the one would be best for your running workouts.